Join us for the Oak Brook Artisan Market at Oakbrook Center. This 2-day outdoor market showcases the Midwest’s finest artisans in fashion, food, home goods + art. Cost: Free Admission – RSVP online in advance for OBAM! Shopper Perks. Our curated, weekend market in Oak Brook, Illinois celebrates the ingenuity of independently owned, small businesses who channel their passions into creating one-of-a-kind products. Be sure you don’t miss a market: get invited to Oak Brook future markets this Spring, Summer & Fall. 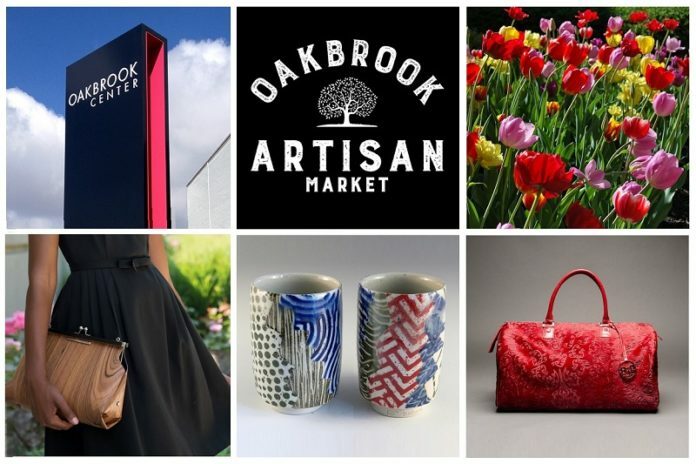 * If you RSVP in advance, you can visit the Oak Brook Artisan Market hospitality tent on the Village Green at Oakbrook Center to pick-up your rewards. Parking is free at Oakbrook Center. Interested in being a vendor at the Oak Brook Artisan Market? Apply now online or call 312.461.9500 for more info. You can also email us at events@stylechicago.com. 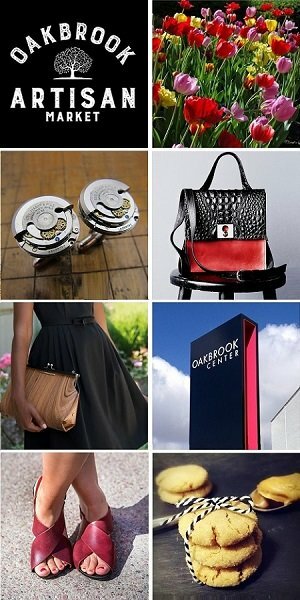 About Us: We are a Chicago company based in Oak Brook, IL that has been showcasing independent artisans and small businesses for nearly 15 years. We also produce the Chicago Artisan Market and StyleChicago.com signature events. • Approximately two-thirds of the businesses we feature are women-owned.